Everybody wants 5 Beautiful Acres! Rare opportunity to build your dream home and select your own builder, as there is NO builder tie-in. Lovely, mostly wooded lot with coniferous trees in Foxmont/Hunter's Pond, a 44-home community near I-66 and Lee Highway in Centreville. Fairfax County Public Schools. Horse-friendly community with equestrian trail and nearby access to 20+ miles of riding trails, including ford point on Bull Run. 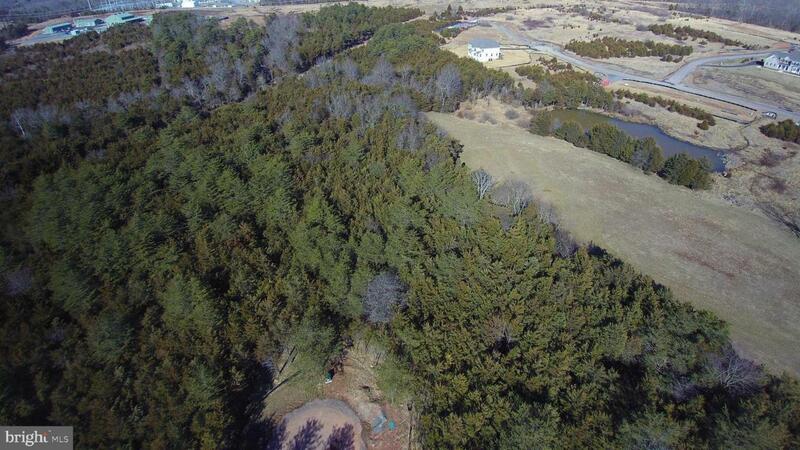 Lot measures approximately 5.45 acres and offers privacy from neighbors. Finished and recorded lot, ready to pull building permits. Electric, natural gas, Verizon, and Comcast service are available at the street. Buyer is granted the right to license an individual quarter-acre garden site in the community. Septic is approved for a minimum of 4 bedrooms. Download plat from this site. Drive by the lot. Look for orange sign. Zoning Description Residential Conservation Area. 1 House Per 5 Acres Minimum. Listing courtesy of Cabell Reid, Llc. Assessment Year 2018 Association Fee 222.73 Association Fee Frequency Monthly Association Name Hunter's Foxmont Master Assoc Association YN Yes Building Sites 1 Central Air YN No Condo YN No Construction Completed YN No Current Use Residential Historic YN No Lease Considered YN No Lease In Effect No Navigable Water YN N New Construction YN No Original MLSNumber 301423490917 Ownership Interest Fee Simple Possession Coin W/Sell Sett Property Sub Type Land Sale Type Standard Sewer Perc Approved Septic Tax Annual Amount 4260.0 Tax Assessment Amount 360000.0 Tax Lot 24 Utilities Electric AvailableNatural Gas AvailableFiber Optics Available Vacation Rental YN No Water Source Well Zoning R5c Zoning Description Residential Conservation Area. 1 House Per 5 Acres Minimum.